https://petriememorial.com/wp-content/uploads/2015/05/cross-on-bible-green.jpg 1155 1732 user1 http://petriememorial.com/wp-content/uploads/2015/11/PMUMC_final_340x156.jpg user12018-10-21 16:18:312018-10-21 16:18:31Sermon: "Shotgun"
Spread the word! 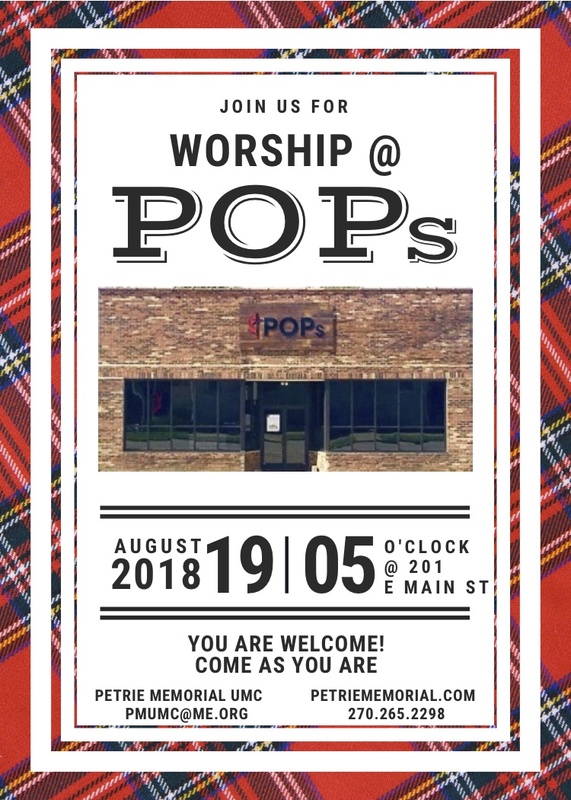 Worship Service starting August 19 at the POPs building. This service will be very, very casual. Lots of praise and worship music. 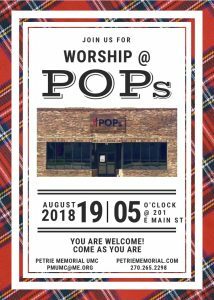 The service will begin at 5:00 p.m. Come one, come all, just as you are!!!! https://petriememorial.com/wp-content/uploads/2015/05/cross-on-bible.jpg 1155 1732 user1 http://petriememorial.com/wp-content/uploads/2015/11/PMUMC_final_340x156.jpg user12017-09-03 17:06:022017-09-03 17:06:02Sermon: "I can...."
https://petriememorial.com/wp-content/uploads/2015/05/cross-on-bible.jpg 1155 1732 user1 http://petriememorial.com/wp-content/uploads/2015/11/PMUMC_final_340x156.jpg user12017-06-25 17:19:542017-06-25 17:21:37Sermon: "Put Your Mouth Where Your Faith Is"